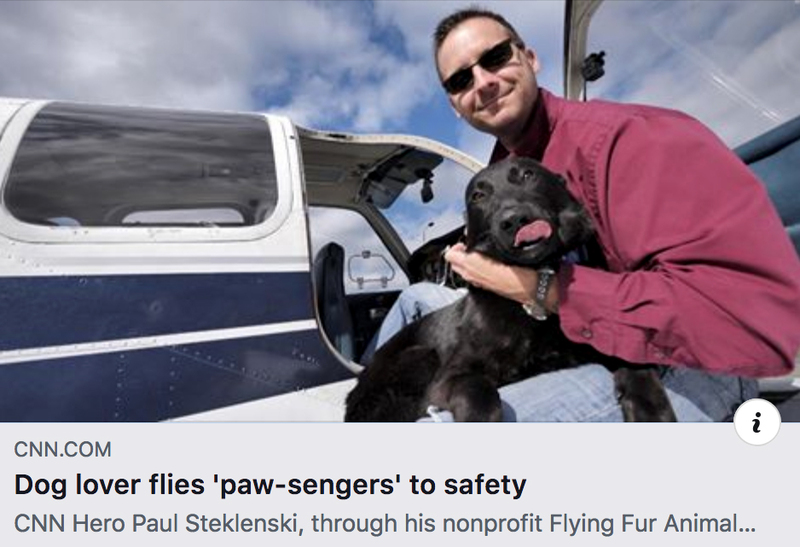 CNN's Hero Paul Steklenski is saving lives, one flight at a time. Path 88 Productions spent this summer following Flying Fur Animal Rescue and his team of volunteers as they rescued animals. We are BEYOND excited and honored to bring you their stories in the upcoming documentary #flyingfuranimalrescuedocumentary coming this December, 2018!